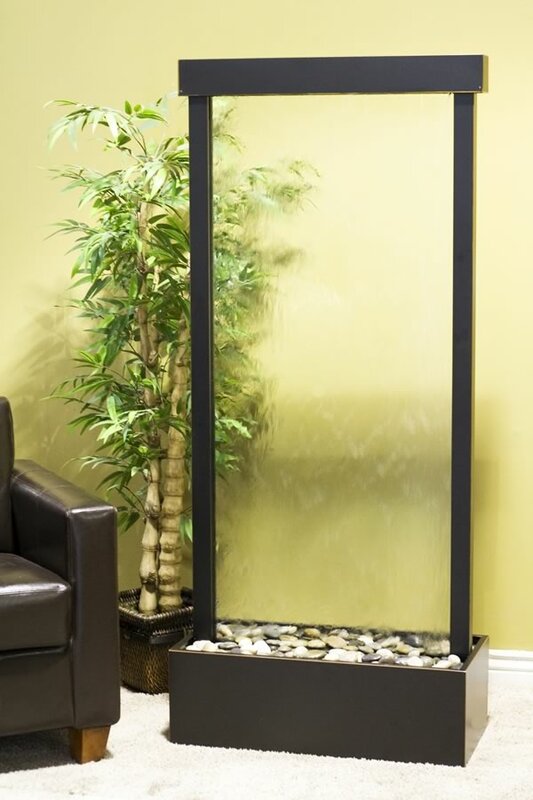 New to the collection is this impressive freestanding glass water wall Harmony River. Harmony River showcases the artistry of design and the beauty of falling water over glass. The center mount glass panel provides the illusion water is flowing over both the front and back of the unit however water only flows over one side. This spectacular free standing fountain is stunning from all sides. 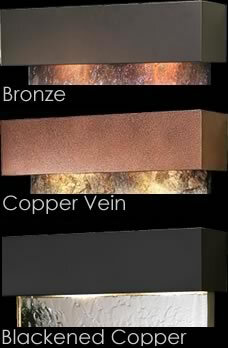 Harmony River is available in chic Blackened Copper, Antiqued Bronze and Copper Vein powder coat colors and ships with easy to following set up instructions and river rocks.